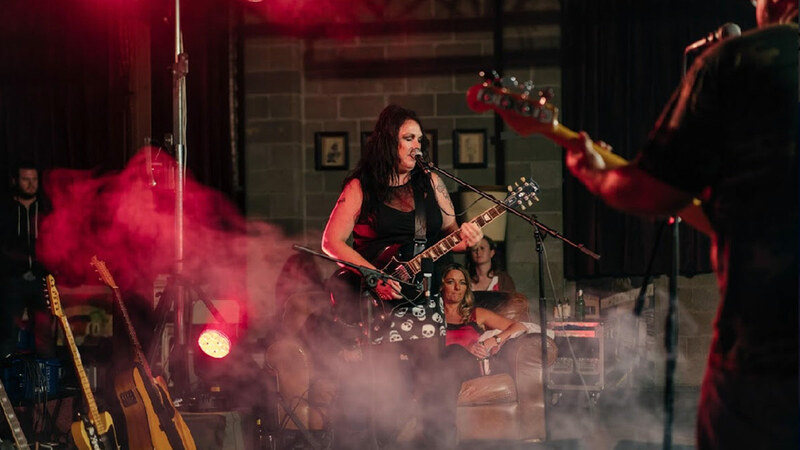 From Afghanistan to the Entertainment Centres of Australia, Amanda Emblem has stepped out with a debut album to claim her place on the Australian Music Scene. Amanda Emblem is no stranger to high level performances. In May this year she stood alone on stage at Sydney’s Historic Enmore Theatre as the opening support for one of her idols, Blues legend Robert Cray. In her 20-year career she has played alongside the biggest international names, including Aerosmith and Kiss as a front woman and bassist. Amanda’s inner circles consist of legendary musicians Matt Taylor (Chain) and Ross Wilson (Daddy Cool). She cites Doc Neeson as an integral influence. Amongst her busy schedule she also finds time to perform for the Australian Armed Forces deployed overseas. From North Queensland/outback musician to city support acts it would seem there is no limit. With a recording history that boast international airplay all over the world working with a variety of artists. Her songs and music have appeared on the TV series “Neighbours” and have won international song writing awards. The debut album “Who Is Amanda Emblem?” Is out now on Wild Weather Records.